The wholesale cost of electricity is almost always the focus of power companies when asked why energy costs are rising. The reason for this focus is it’s the one cost that your power company can blame on you. As energy consumers, we are told that if we reduce our consumption and increase energy efficiency we will see direct savings in our next electricity bill. This leads us to believe that rising electricity costs are purely a result of leaving too many lights on, or having too many appliances plugged in. Yet, research by the ABS has shown that household energy prices continue to increase despite a steady reduction in energy use in recent years. Figures from the Australian Bureau of Statistics reveal an inconvenient truth for government energy regulators and retailers alike – they can no longer blame the consumer. In light of rising energy costs, you, like most other Australians are likely looking for a way to solve the issue of your skyrocketing electricity bill. 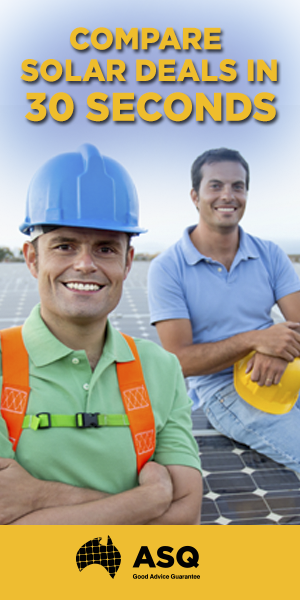 We’re here to show you how solar power is the solution. When you get your quarterly electricity bill, what you’re paying for is basically your household energy consumption, right? This must make you wonder, what in the world are Australian households paying for, if it’s not the energy we consume? The answer to the phenomenon of bill shock hitting households across the country is glaringly obvious, and to make matters worse – it could have been entirely avoidable. As Green Markets energy analyst Tristan Edis told the ABC earlier in this year, the increased cost of electricity is due to the “monopoly” that power companies have over the market and “companies spending big on infrastructure they did not need”. How much unnecessary spending are we talking? A lot – and by a lot, we’re talking $45 billion of upgrades being approved by power companies in the last five years. Not-so-coincidentally, two years into this infrastructure spend, electricity prices rose 40%, over the same period power company profits rose over 60%. The way that a power company ensures that these debts are paid off, is… wait for it… your electricity bill. The incentive for power companies to make this enormous investment despite lack of market demand is, firstly, that consumers are paying lucrative fees on top of the infrastructure repayments. There’s no two ways about it, this is the single biggest reason for skyrocketing power prices. The Australian Treasury has confirmed that an average of 51% – in some states it’s as high as 60% – goes towards “network charges”. Months of political fuss and campaigning against the 9% carbon tax and Renewable Energy Target (a figure so small it isn’t factored in the findings) makes the government’s failure to mention the avoidable 60% poles and wires cost confusing to say the least. Australians are jumping ship – from their power company to solar! Relying on the national electricity grid for stability of price has become an impossibility. The longer Australian consumers are consuming coal-fired electricity, the larger power companies’ pockets will become. Now is the time to look to greener pastures – not only is it the time, but time is running out. In light of these rising energy prices, hundreds and thousands of Australian households have had enough of being ripped off by a power company for no apparent payback. One power company after another are burning bridges all over Australia, and what they didn’t predict was that their once small competitor – renewable energy – would present an attractive alternative for consumers. One thing that’s adding even more urgency for consumers is the Solar Feed-In Tariff changes to take place at the end of the year. Despite overwhelming environmental and economic evidence to back up going solar, Government energy regulators are making winding down certain benefits in just a few months time. But , this has only increased the rate at which Australians are jumping on the solar bandwagon! The silver lining is that installing solar before the government cuts even more funding to the sector will lock you in for years of savings as electricity prices are guaranteed to rise more. Find out what rebates you’re eligible for today!